When Julia Warren and her grandmother, Leigh Ann, were introduced to Believe In Tomorrow in 2013, they were dealing with a whirlwind of emotions. At seven years old, Julia was diagnosed with a cancerous tumor in her arm that could only be treated at Johns Hopkins Hospital. Since then, the family has been commuting from their home in Tennessee to Baltimore every three months, staying with us at the Children’s House at Johns Hopkins each time. 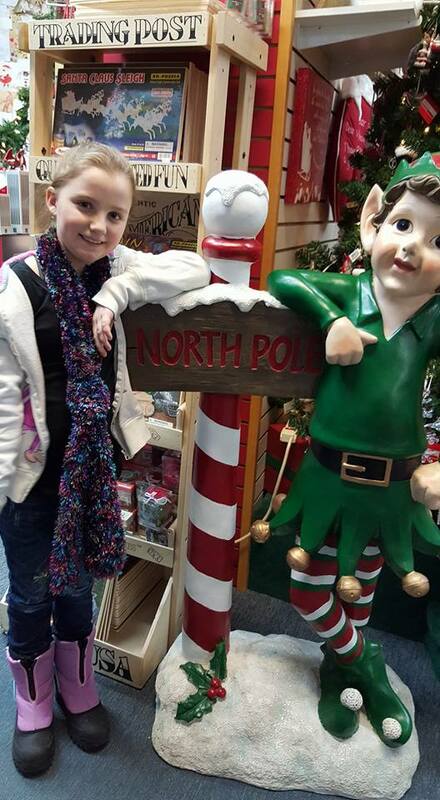 We recently caught up with them and learned how Julia hasn’t let the diagnosis slow her down, and how the family enjoyed Christmas at the North Pole in Alaska! You may remember Julia’s story from 2013. 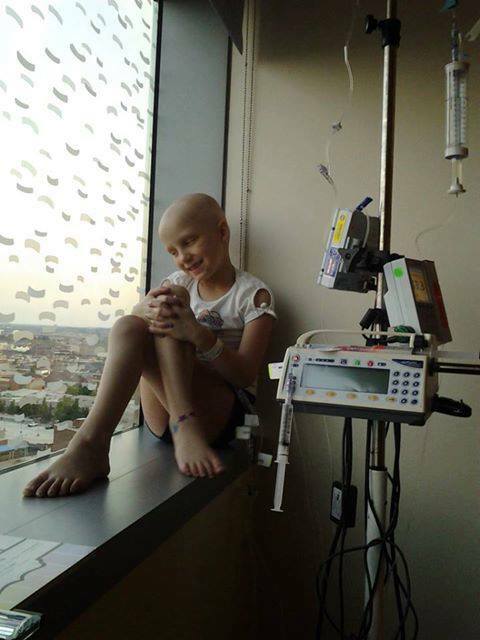 She was diagnosed with a rare cancerous tumor in her arm. The first doctor she and her grandmother saw near their home in Tennessee recommended intense radiation and a possible complete amputation. Unsatisfied, Leigh Ann began researching other options and learned of a doctor at Johns Hopkins Children’s Center that specializes in removing tumors like Julia’s. They booked a flight to Baltimore soon after, and Julia has been receiving treatment at Johns Hopkins Hospital ever since. The form of cancer Julia has is very rare, there are only 670 documented cases, so treatment options are limited. Leigh Ann and Julia make the trip (a 12-hour drive when flights are too expensive or unavailable) from their home in Tennessee to Baltimore every three months for a checkup at the hospital. On some lucky trips, they’re able to complete all the testing Julia needs in one day. When they stay overnight, though, we’re glad to see them at the Children’s House at Johns Hopkins. Since 2013, they have stayed with us on nine different occasions. When Julia and Leigh Ann stayed with us at the Children’s House at Johns Hopkins a few weeks ago, we had a chance to learn how Julia has been since 2013 and what the family has been up to. As a result of the intense treatment regimen to combat the cancer, Julia fell a year behind in school. Leigh Ann noted, “One side effect of the chemotherapy Julia received is ‘chemo-brain.’ After treatment, her short-term memory was significantly weakened.” Julia didn’t let this slow her down for long, though. “She has been doing remarkably well since the treatment ended. Within the past two years, Julia has caught herself up in school, even making straight A’s this past semester. She also started horseback riding and absolutely loves it,” said Leigh Ann. When speaking with the family, we also learned that they had quite an exciting Christmas. 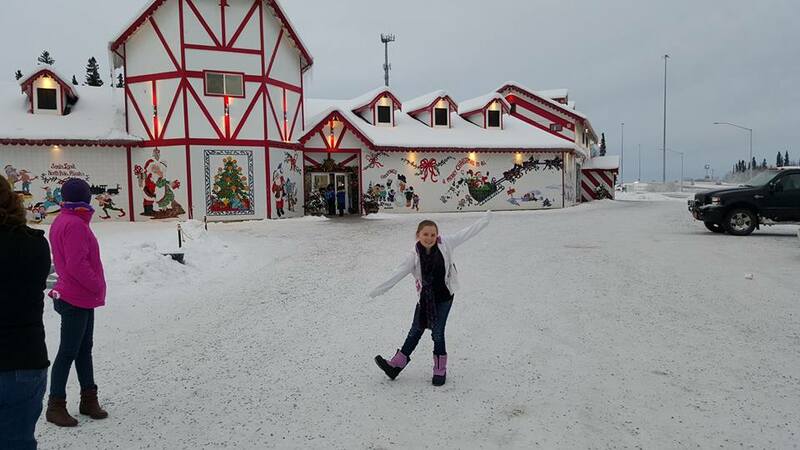 After a year of planning, Leigh Ann and Julia enjoyed a two-week vacation at the North Pole in Alaska! While there, Julia saw the Northern Lights, glaciers, and even walked on frozen rivers. 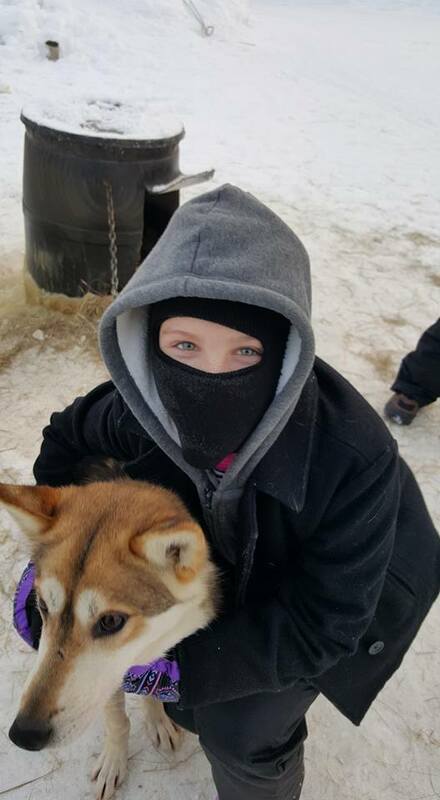 She also met “the real” Santa Claus and rode with the dog sledding team that recently won the world-famous Iditarod Sled Race. “This was a bucket-list trip for Julia. We really don’t know how long we have with her, and we want to make every moment count,” Leigh Ann said. The day after they returned from Alaska, Julia and Leigh Ann made the familiar trip up to Johns Hopkins Hospital for a checkup. In addition to the usual worries about Julia’s overall condition, the family was particularly concerned about a mole that had developed on Julia’s shoulder. After days of waiting for results, Julia’s scans and blood tests came back clear, and the doctors agreed that the mole does not appear to be melanoma. “Another three-month win,” commented Leigh Ann. While Julia doesn’t have any cancerous tumors at the moment, her form of cancer is very aggressive, with an 85% chance of returning. 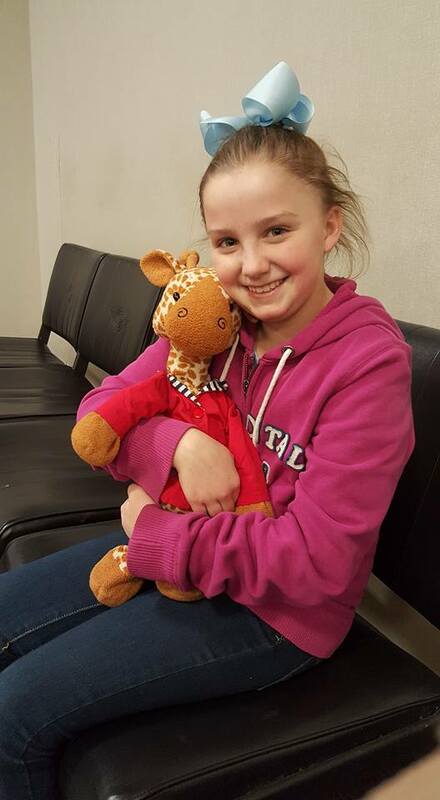 As a result, Julia will be required to continue her schedule of three-month checkups for the rest of her life. We asked Leigh Ann how staying at the Children’s House at Johns Hopkins has helped her and Julia through these tough years and were surprised to learn what they’ve valued the most. “With the cost of each trip, four times a year, I don’t know how we’d also afford a place to stay in Baltimore each time. The accommodations and complimentary meals are a huge help, but it’s actually the people we’ve met that have made the most difference for us. After Julia’s diagnosis in 2013, we stayed at the Children’s House at Johns Hopkins for almost 10 months. During that time, we got to be very close with some of the staff, volunteers, and other families staying at the facility. They welcomed us into their personal families during holidays and guided us through an unfamiliar city. We’ve remained in close contact with them all throughout the past three years,” commented Leigh Ann. For someone facing such a difficult road ahead, Julia has remained as bubbly and full of life as when we met her in 2013. The joy that she and Leigh Ann bring to other children and families in our facility is priceless, and we look forward to seeing them again for Julia’s next three-month checkup in April. To help us ensure that the Warrens and other families will always have a place to stay while their child is receiving treatment at Johns Hopkins Children’s Center, please click here.